The 100 years old typical Japanese traditional townhouse it is. 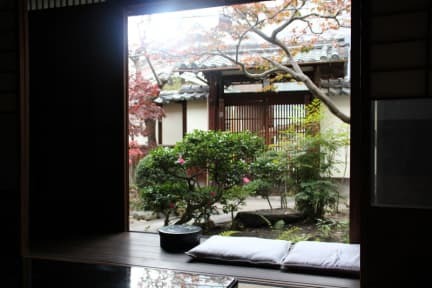 Carefully chosen Japanese activities, library lounge and several share space are available. Polite English speaking staffs are there with up-to-date local travel information. Some private rooms have a toilet and a washbasin. Female dormitory has a shower room, a toilet, and a washbasin.